Welcome to Southern Flaggers. Here you can view the activities of flagging groups in the field and working to keep our Southern flags flying high and proud. Corey Stewart, Republican candidate for Governor in Virginia, will host a rally TOMORROW night, Tuesday, February 21st at Charlottesville City Hall. Corey has taken a vocal, high profile stand against the destruction of our history and heritage, and the left, as well as some in the Republican establishment, is attacking him with a vengeance. We need to show up STRONG tomorrow evening to support him. I recently visited Charlottesville to fight against the removal of the Gen. Robert E. Lee Statue. Make no mistake: The left won't stop at erasing Virginia's history. They won't be satisfied until they put down all dissenting opinion, at all times, in all places. We cannot allow them to erase our heritage. That is why this Tuesday, February 21st, we're returning to Charlottesville, this time to rally at steps of City Hall. Please come and stand with me to protest the removal of General Lee's statue and help us stop this madness in its tracks. The City Council meeting begins at 7:00 PM, where they'll continue their effort to erase the proud record of one of Virginia's greatest heroes. 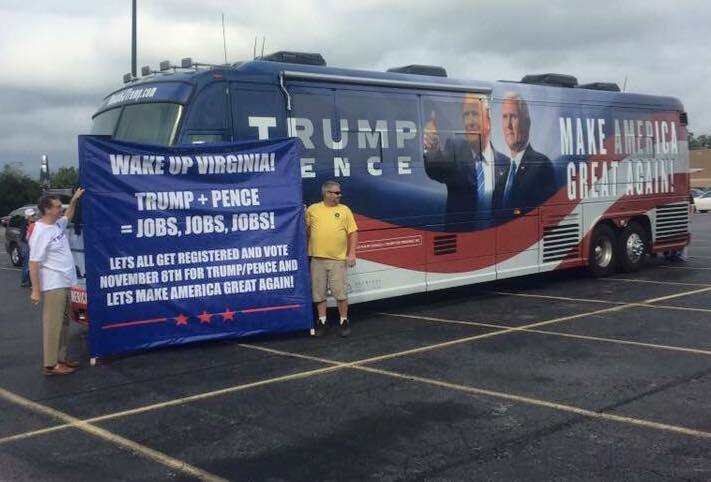 Without a doubt, the liberal agitators will try and shut our rally down. 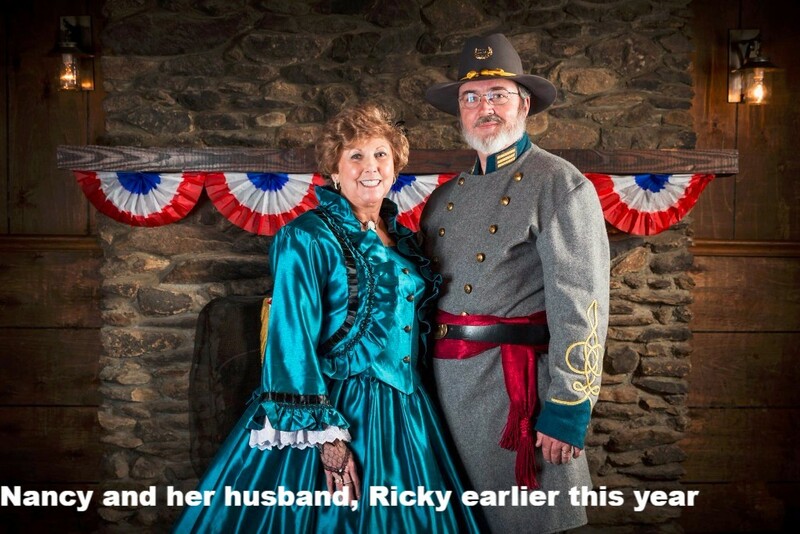 We can't let them silence the voices advocating for Virginia's heritage. General Lee is our heritage. He is our history. Robert E. Lee was a great American and Virginian. After the Civil War, General Lee spent the rest of his life working to reconcile and heal the country. His legacy is antithetical to the radicals who aim to destroy and divide, and it must be protected. We learned early this evening that the City Councilman behind the effort to remove the Robert E. Lee memorial in Charlottesville has resigned from his position as a teacher at Albermarle High School!! This follows community outrage after a Charlottesville author exposed numerous vulgar tweets on Bellamy's "Vice-Mayor" twitter account containing sexist, racist, homophobic and misogynistic comments, and comes just weeks after Virginia Governor McAuliffe forced Bellamy to resign from the State Board of Education last month, after McAuliffe commented that he was "horrified by the content" of the tweets. Bellamy was placed on administrative leave by the Albermarle County School Board shortly after the vile tweets surfaced, and his resignation comes after outrage from parents and the community, and in spite of efforts by the Albermarle-Charlottesville NAACP to influence the school board's decision. In a letter sent to the Albermarle County School Board earlier this month, NAACP President Rick Turner urged Bellamy be taken off administrative leave and returned to the classroom. In contrast to swift action by the Governor and the Albermarle School Board, Charlottesville City Council members have refused to ask for his resignation from City Council, expressed their devotion to Bellamy, and vowed to stand behind him. At a City Council meeting earlier this month, Charlottesville councilmen, instead of condemning Bellamy and calling out his openly racist, homophobic and sexist comments and behavior, chose to instead launch vicious personal attacks against the man who exposed the tweets, as well as anyone who dared to speak out and call for his resignation. As we reported last week, City Councilmen will meet in January to discuss the recommendations of the Blue Ribbon Commission on Memorials and Race, a commission that was formed solely based on the prejudicial demands of Wes Bellamy and Kristen Szakos to tear down the Robert E Lee monument and rename LEE Park. Based on the revelation of the true character of Mr. Bellamy, and the obvious racist intentions behind the entire stunt, the logical next step would be to abandon any and all discussion of monument removal or alteration. Since City Council has made it clear that they intend to move forward instead of stepping back, removing Bellamy from office by recall is the next logical step, and would serve as a strong statement to others who may be tempted to make similar attempts, across the Commonwealth and beyond. The Lane-Armistead Camp SCV dedicated its first mega flag, while the 15th flag was added to the Danville skyline. 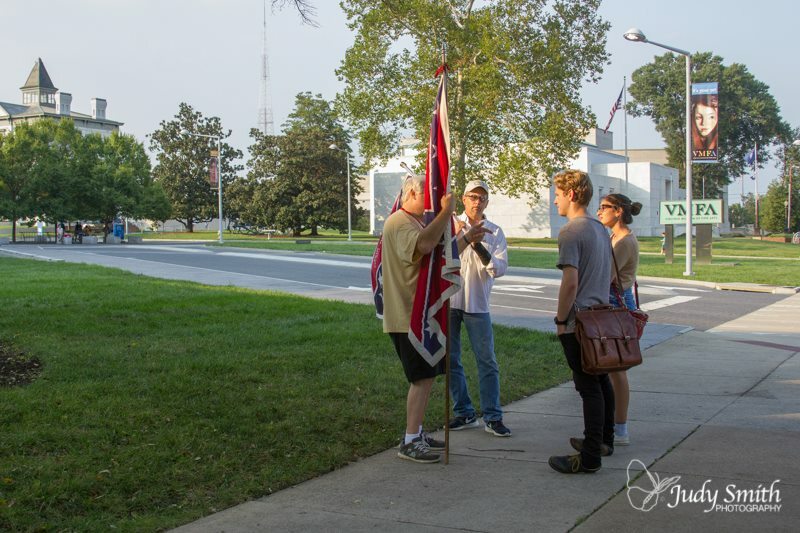 The Virginia Flaggers are pleased to announce the dedication yesterday of our 24th Roadside Battle Flag in Virginia, and the 15th raised in Danville since Danville City Council voted to strip the 3x5 Third National from the Confederate Monument on the grounds of the Last Capitol of the Confederacy. 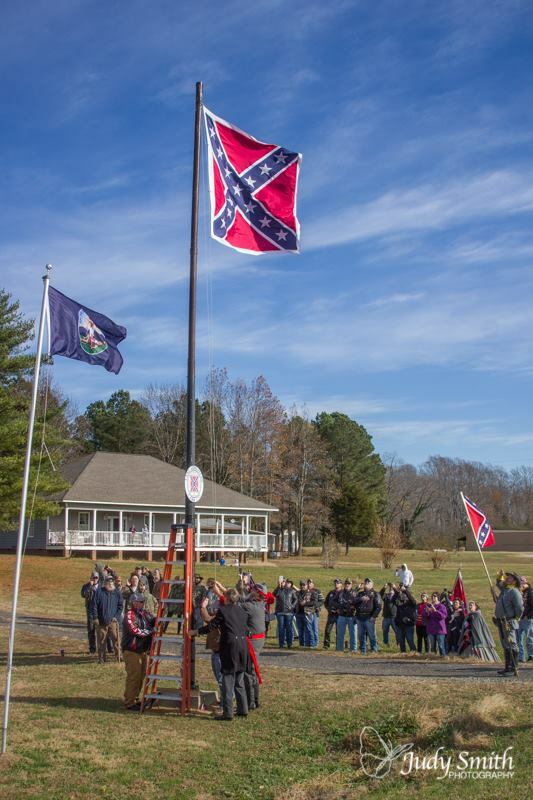 In a private ceremony, an 8' x 8' Army of Northern Virginia Battle Flag was raised on a 40' pole on Mount Cross Road, and dedicated in memory of our dear friend, Mrs. Nancy Pritchett, a Danville native who passed away three months ago. Mrs. Nancy was a true Southern lady and a fierce defender of the honor of her ancestors and the flags under which they fought and died. In July, she dressed in full dress and brought her oxygen to attend the Cabell Flag dedication, despite failing health and temperatures over 100 degrees. Winter weather did not prevent Nancy's friends and family from gathering for the dedication and those in attendance reported many honks of approval from passing traffic. 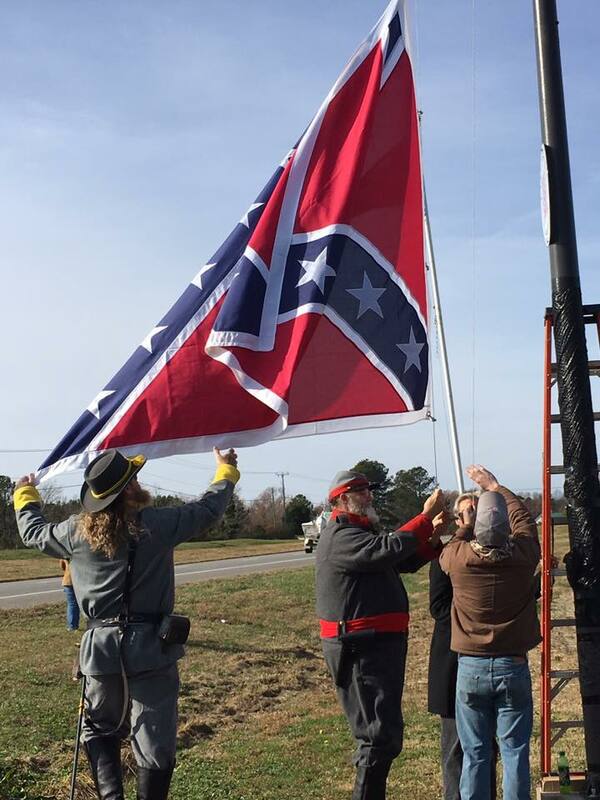 Once the flag was raised, neighbors came by to shake the hands of the crew from Sky High Poles, and voice their approval for Danville's newest roadside flag. This flag was dedicated to the Glory of God, in loving remembrance of Mrs. Nancy Pritchett, and in memory and honor of our Confederate heroes. 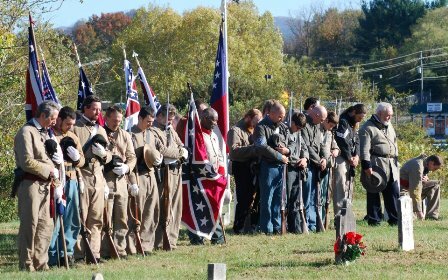 That the soldiers who wore the gray, and died with Lee, were in the right." 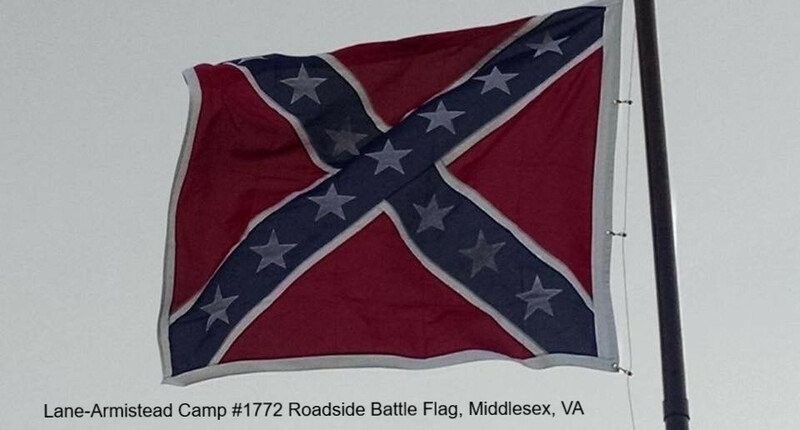 Congratulations to the Lane-Armistead Camp #1772, who, one week earlier, on Saturday, December 10th conducted a ceremony to raise their first Roadside Memorial battle flag! 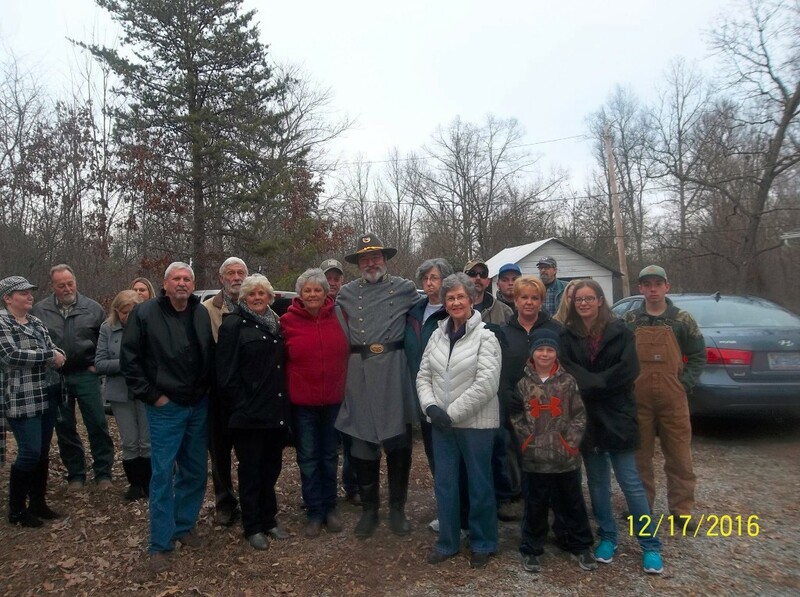 The dedication took place at 11:00 a.m. near Saluda, in Middlesex county Virginia. 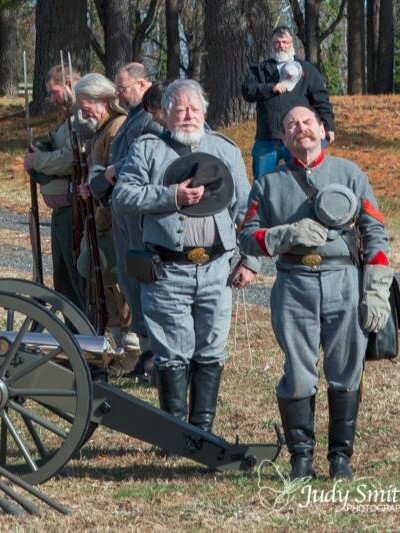 After a prayer given by Richard Morgan,the 56th Va. Infantry fired a 21 gun salute as the flag was raised and the Gloucester Artillery fired their cannon several times as Jeff Barbour played TAPS on his bugle. Around 60 people showed up on this windy,cold morning to watch the beautiful 8 foot by 8 foot battle flag raised to the top of the 38 foot pole. 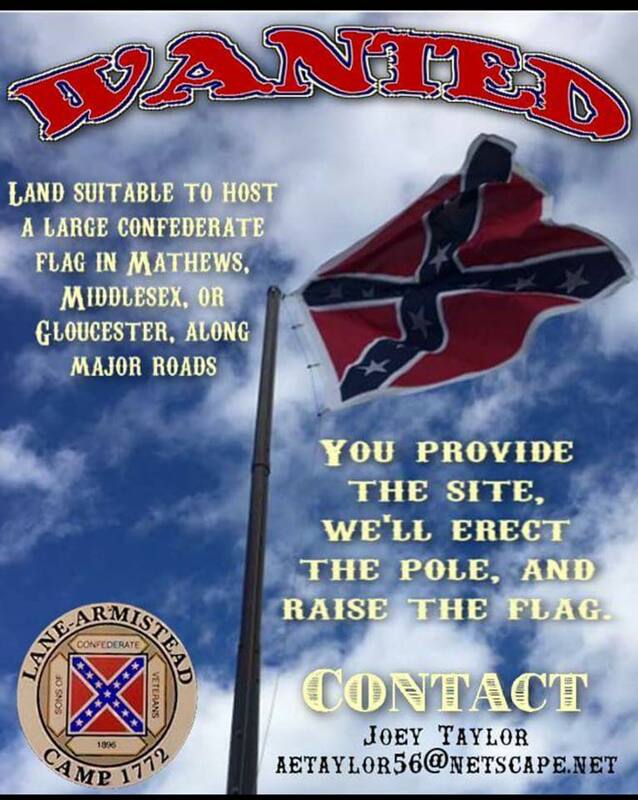 The gentlemen of the Lane-Armistead Camp have let us know that this is the first of what they hope will be many battle flags that will be raised in the middle peninsula. They are actively seeking land for additional battle flags and we are thrilled to see even more flags rising to fill the skyline in the Old Dominion State! Finally, we leave you with this additional bit of good news out of Mathews County. The School Board member who tried to stir up trouble in Mathews last year by writing the local paper to complain about Confederate flags placed on the Mathews County monument...RESIGNED THIS WEEK! Her efforts had the opposite effect of what she desired, as local citizens were outraged at her attempts to interfere in the proper remembrance of their veterans, and quickly rose up to quash any discussion of prohibiting the placement of the flags. In the wake of the revelation of numerous racist, homophobic, sexist and vulgar tweets posted on social media by Charlottesville Vice-Mayor Wes Bellamy, there has been an ongoing push to remove him from Charlottesville City Council. Even though an online petition gathered nearly 1,000 signatures in a matter of days, and despite the fact that the Albermarle County School Board placed him on administrative leave and the Governor of Virginia forced him to resign from the State Board of Education, members of city council not only have refused to ask Bellamy to resign, but went as far as to express their unwavering support for the disgraced Vice-Mayor. In response to the lack of action from city council, and on the advice of legal representation, a grassroots group of Charlottesville citizens has drafted an official recall petition, requesting that he be removed from office for “misuse of office’. All registered voters in the city of Charlottesville are eligible to sign, and are asked to contact themaddimension@gmail.com for more information. 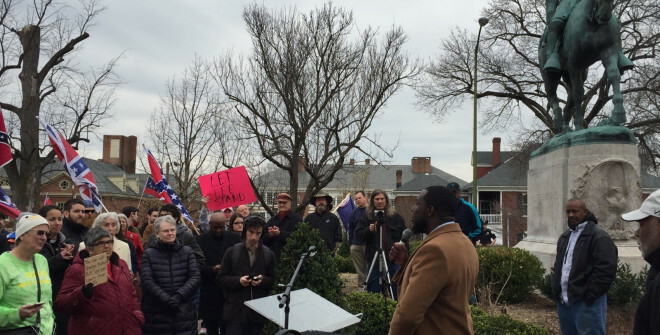 Efforts to collect the required signatures will begin this week, and once received, the petition will be filed in Charlottesville Circuit Court, with the goal of removing Wes Bellamy from Charlottesville City Council. Vice-Mayor Bellamy is the driving force behind Charlottesville City Council's push to tear down the Robert E. Lee monument and rename LEE Park. Calls for the statue's removal by Bellamy and fellow councilman Kristen Szakos led to the formation of a Blue Ribbon Commission, which consisted almost entirely of like-minded leftists who were appropriated $10K to "study" the issue. Their final report, which is still not available online, will be presented to City Council a week from tonight, Monday, December 19th. 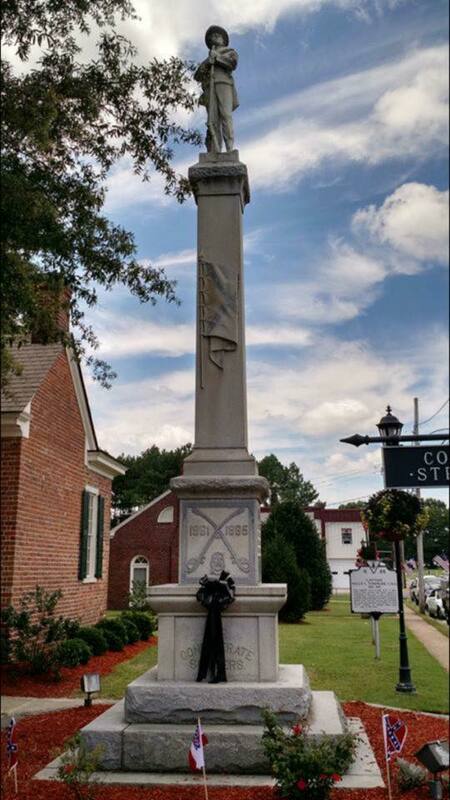 Regardless of the recommendations of the commission, and no matter what the council votes to do, the fact is that it is still ILLEGAL to remove, alter, or destroy war memorials in the Commonwealth of Virginia. Thankfully, our legislature had the foresight to see that our veterans may need protection from the winds of political correctness as they shift and blow across locations such as Charlottesville, heavily influenced by outsiders and those with leftist agendas that could, if unchecked, lead to the removal of any monument or memorial they deem "offensive" on any given day. We have been working closely with legal counsel and should the City Council make any move toward removal or alteration, we will be prepared to file immediate injunctions, as well as civil and criminal lawsuits which will ultimately protect the memorials, while costing the city thousands of taxpayer dollars and tying up immeasurable city resources trying to do the bidding of one hate-filled man. 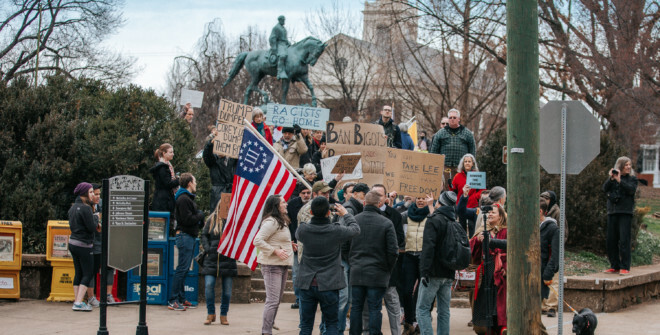 The scandal that erupted in Charlottesville this week surrounding Vice-Mayor Wes Bellamy, and our coverage of it due to the direct connection to his efforts to remove the Robert E. Lee statue and rename Lee Park, has led many Charlottesville citizens to reach out to us. One conversation I had this week with a Charlottesville resident was particularly poignant. This gentleman said that he first heard of us when Bellamy originally started his war against Charlottesville’s Confederate history and heritage by announcing his intentions to convince City Council to tear down the Robert E Lee monument and rename Lee Park. Although he had never really had any deep affection for the Confederacy, the young man told me that something about the fact that one man was trying to erase history, displace a beautiful monument, and divide the community really bothered him so he went down to Bellamy’s press conference to hear what he had to say. When he got there, he saw the usual Charlottesville leftist activists, contrasted by a number of folks carrying Confederate flags. He went on to say that the sight of those flags really caught him off guard and he admits hesitating when considering whether to approach us. He said that when he did approach and struck up a conversation with a couple of Flaggers, it quickly became clear that we were the good guys… decent, God-fearing Americans fighting with no agenda other than to save our history and heritage from politicians looking to make a name for themselves. Even so, he remembers that his first impression of us with flags was that we were the “fringe” of the heritage movement. Fast forward to November, 2016, and he says it is obvious to him now that we are no longer the fringe, but have moved firmly into the mainstream. He said the election in November has proven that citizens are sick and tired of being labeled “racist” for standing up for what they believe in, and that our efforts, and the manner in which we have conducted ourselves over the years have helped to bring our fight to the mainstream. 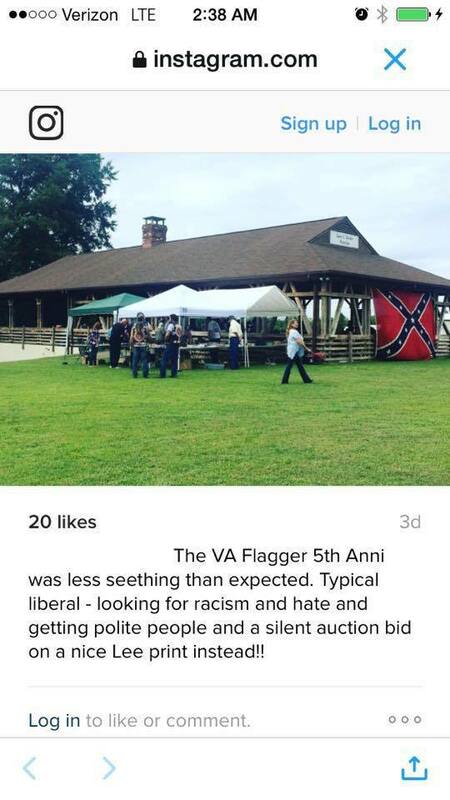 He closed by sharing that six months ago, he had a view of the battle flag that wasn’t exactly negative, but mostly indifferent, tainted by the media and others’ efforts. 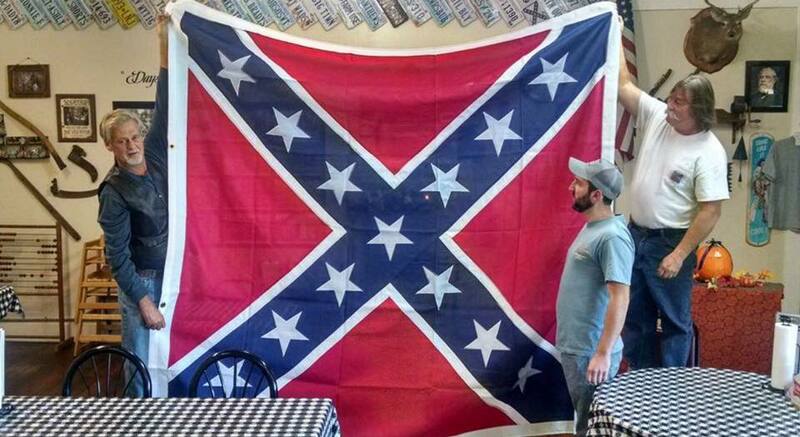 Now, he says, he sees the battle flag for what it REALLY is…a powerful symbol of resistance to tyranny and he understands perfectly why more people are picking it up and carrying it. Even the press has mentioned this phenomenon recently. I have seen several articles talking about the “rise of the Confederate flag”. Of course, the leftist media, still twisted up over the election results, and needing some way to explain why there are MORE Confederate flags flying now than in any time in recent history, attempts to tie it all to the mythical rise of “racism” or “white supremacy, but that old, worn out, FALSE narrative is losing all traction. The rise of the Confederate Battle Flag has nothing to do with race or supremacy, but has everything to do with Americans being fed up with being called “racists” and “white supremacists” just because they hold conservative, traditional beliefs or disagree with those who don't. 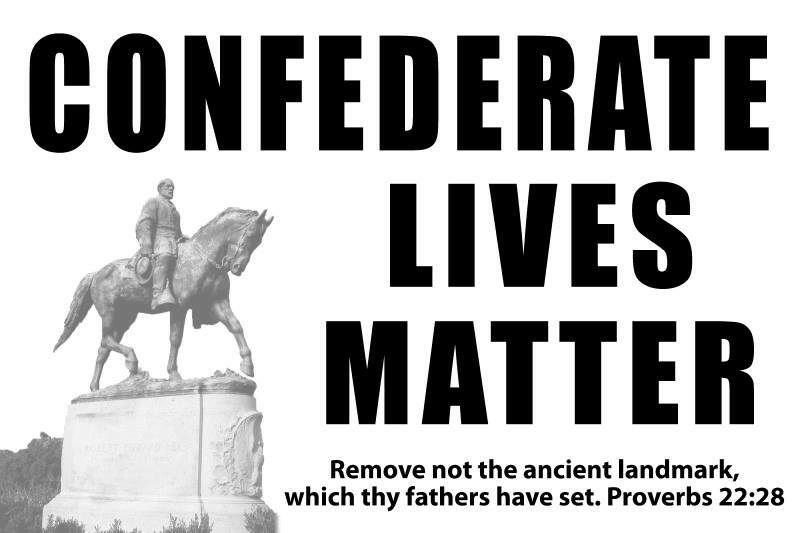 It’s about a growing anger and defiance against the onslaught of attacks against our monuments, memorials, flags, and history, each incident a direct and deliberate assault against the honor and valor of the Confederate soldier, our Grandfathers. It’s about Americans standing up and coming together to stop the PC destruction of our country. It’s about standing in defiance against an overreaching and tyrannical Federal Government. 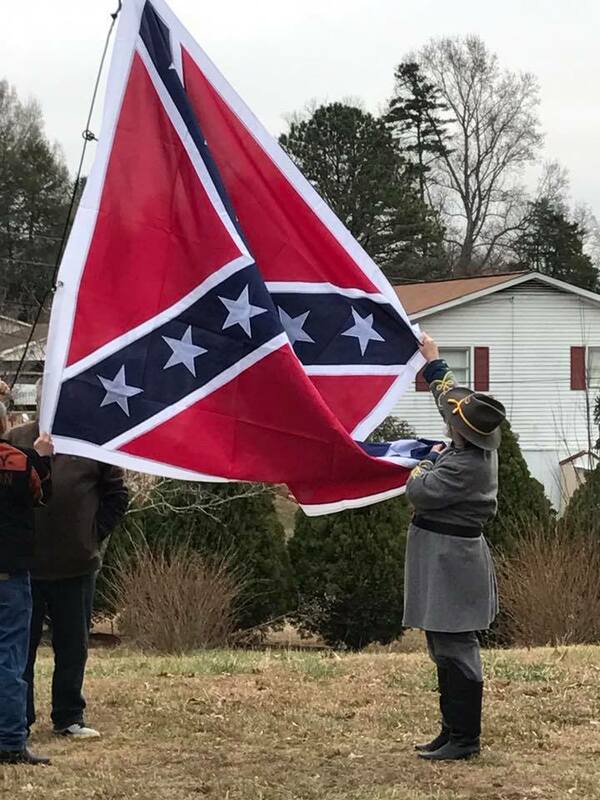 It’s about all of these things, but for the Virginia Flaggers, it always has been, and always will be, first and foremost…about the Confederate soldier. 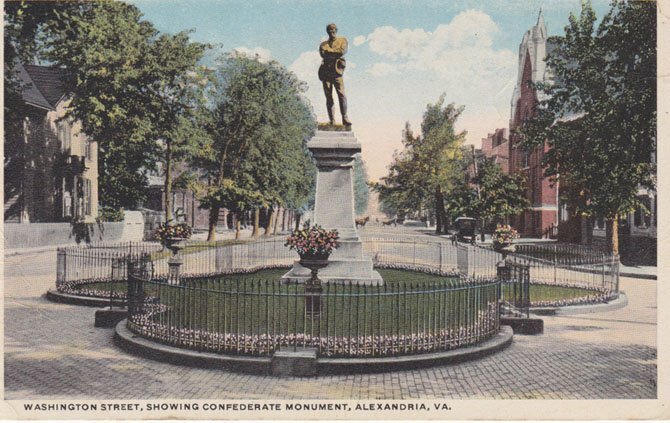 It appears that Alexandria's lawmakers have taken the pulse of their constituents and decided that trying to move the monument would not be good for their political careers! 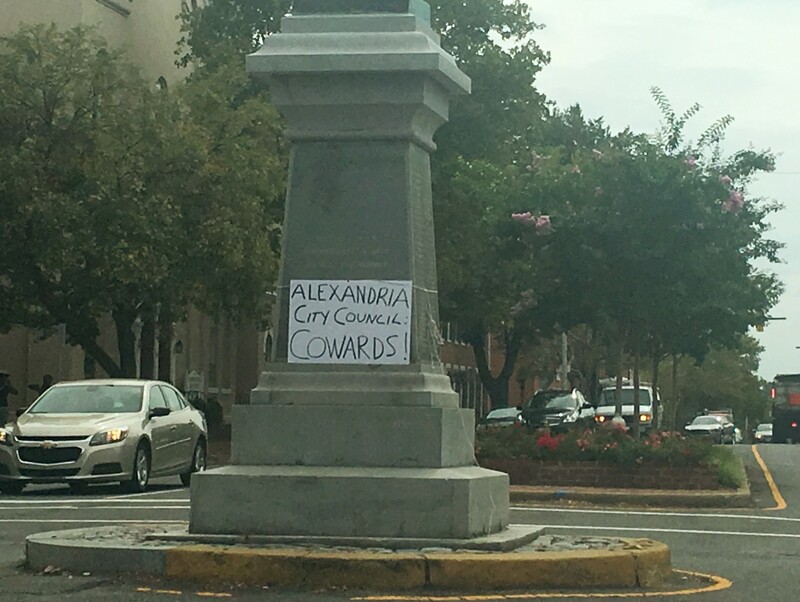 They have REFUSED Alexandria City Council's request to petition the legislature for permission to remove the monument. "Appomattox" will remain right where he should! "State Sen. Adam Ebbin (D), the senior local legislator, told the council that there was no reason to think the legislature would approve an exemption from a state law that prohibits the relocation of war memorials. “It wouldn’t help us advance the rest of our priorities, and it’s not a productive use of our time,” Ebbin said. Del. Charniele Herring (D) agreed, adding that there is no legal basis for requesting an exemption. Del. Mark Levine (D) said that after the council’s vote, he received about a dozen calls opposing the statue’s move and none in favor.Ebbin had earlier signaled the unlikelihood of getting such a bill through the legislature, calling it “a non-starter” unless the United Daughters of the Confederacy, which owns the statue, would publicly back the idea of moving it. Mayor Allison Silberberg (D), who met with the group’s local president, said the organization would not take such a stance." God bless the ladies of the Alexandria UDC Chapter who DID NOT BACK DOWN OR COMPROMISE! CALL TO ACTION: Call, email, and/or write these legislators and THANK them for their decision! What a great day in the Commonwealth! 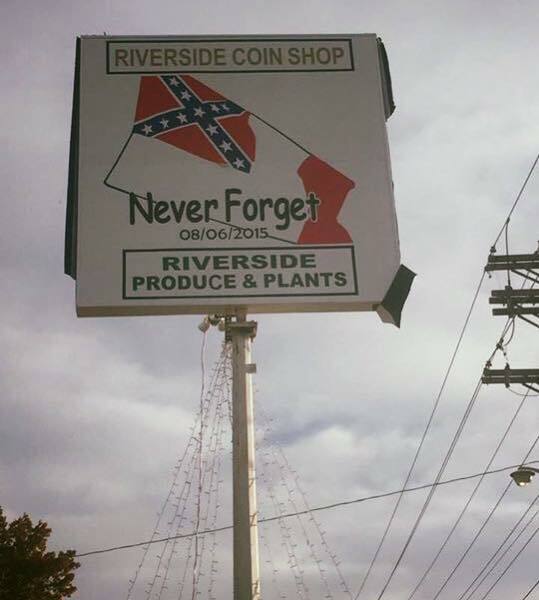 A business owner in Danville wanted to make a statement with his new sign and our own Judy Smith helped design one that would be a daily reminder of Danville City Council's decision to bow to pressure from local agitators and desecrate the Confederate Memorial on the grounds of the Last Capitol of the Confederacy by stripping the Third National flag from the monument. Last night, vandals in Danville decided that they couldn't take seeing the Trump signs any longer, and apparently climbed a ladder to tear down the sign, as well as several others in town. We hope you enjoyed this as much as we did! 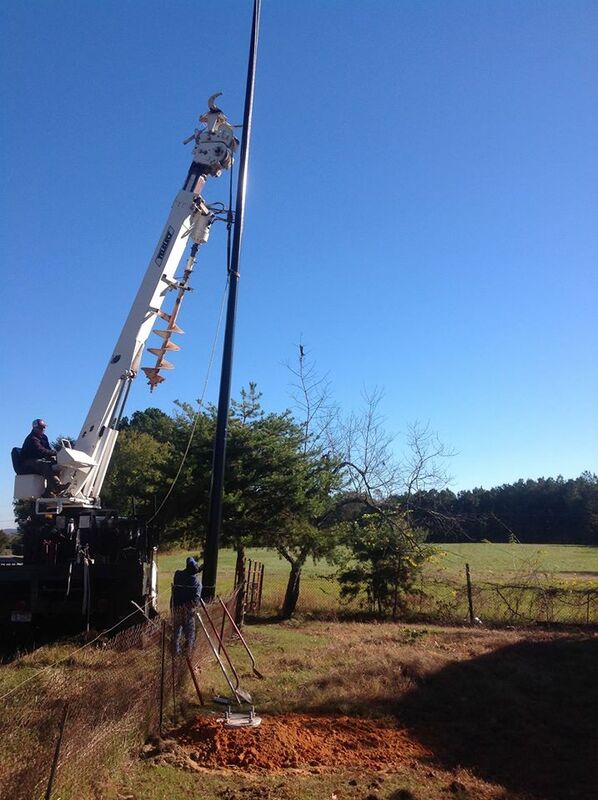 Special thanks to Tommy Goddard and his crew at Sky High Poles in Danville for sharing the photos and information. 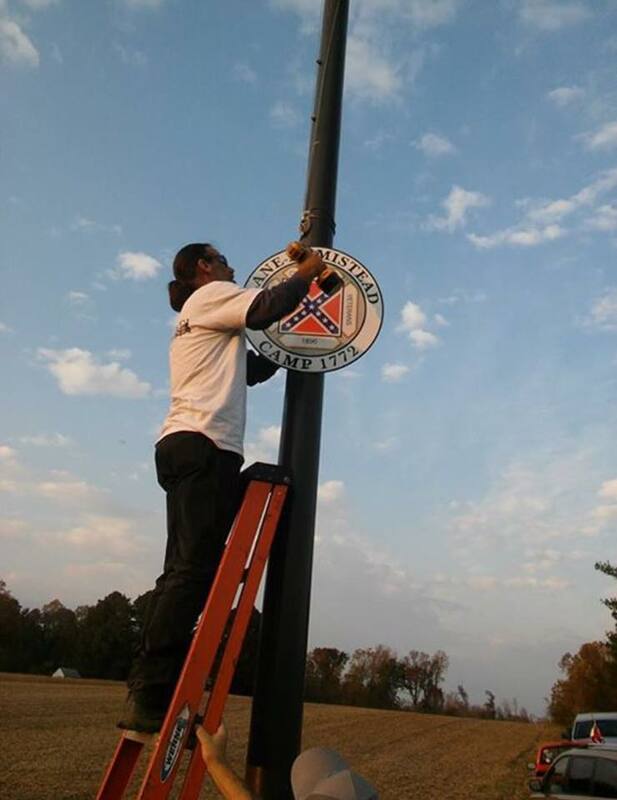 Dixie Rising - FOUR New Roadside Confederate Battle Flag Memorials Raised! 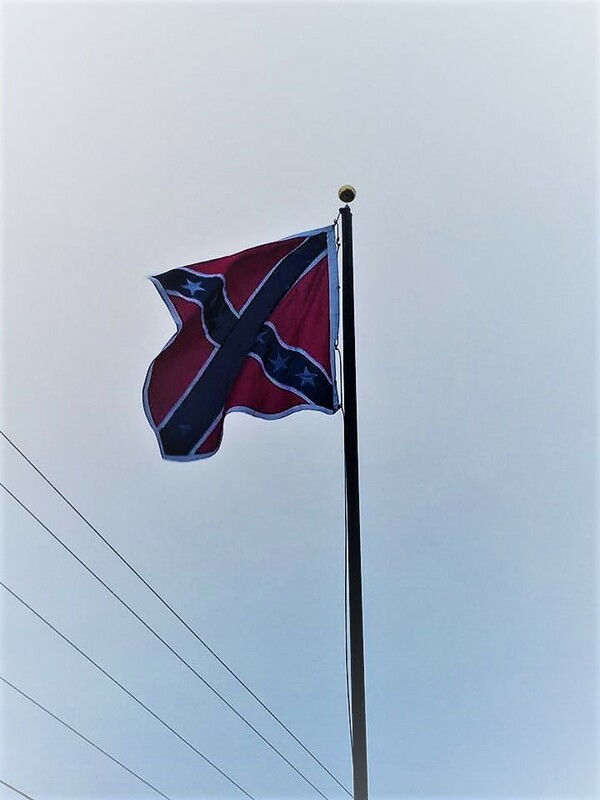 On the heels of a blog post by one of the pseudo-historian, Confederate hating bloggers, declaring that the "Retreat of the Confederate Flag Continues", we received word today of THREE new Roadside Memorial Battle Flags that were installed today...one in Virginia, and two in North Carolina...this on top of one installed in the Old North State last week! Someone really should tell Mr. Levin to stop making stuff up. It just makes him look SILLY! 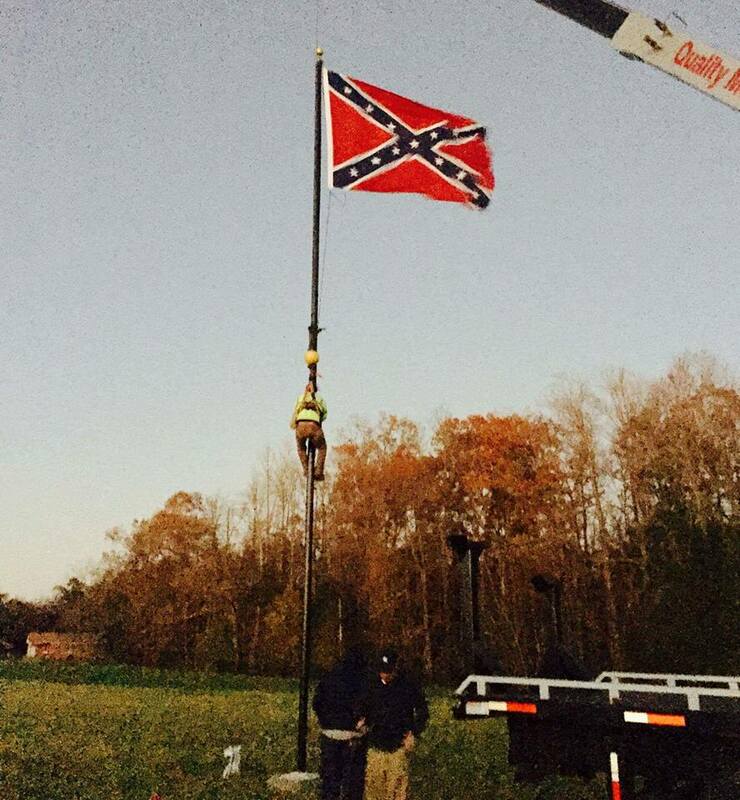 The Roxboro Grays, SCV Camp 1932 have finished installation of a 40' pole for a Roadside Battle Flag Memorial. 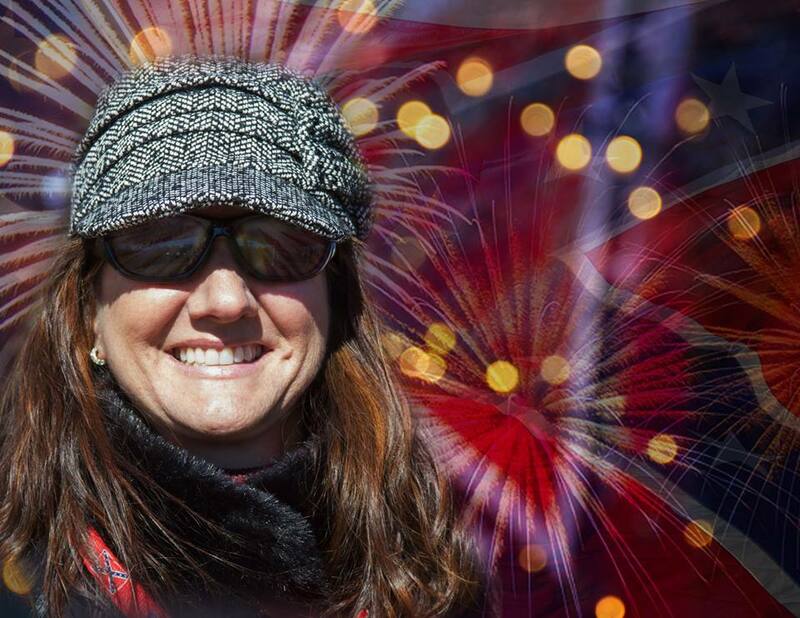 A flag raising/dedication service will be held on Saturday, December 10th at 10:30 a.m. The memorial will be dedicated to Brigadier General Matt Ransom. Ransom was field general of the 35th N.C. Many Person Co. soldiers were under his command. 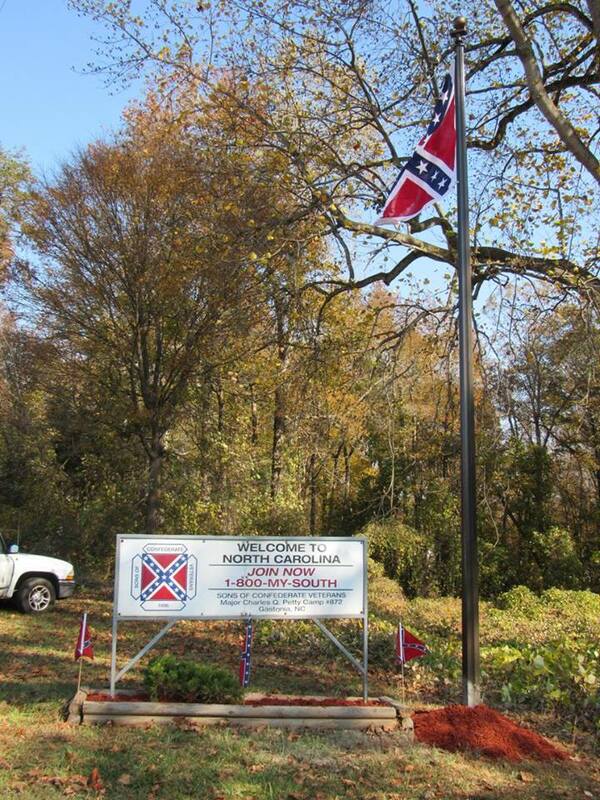 Maj. Charles Q. Petty’s Mechanized Cavalry SCVMCNC installed a new flag and pole at their SCV camp sign! Welcome to NORTH CAROLINA! 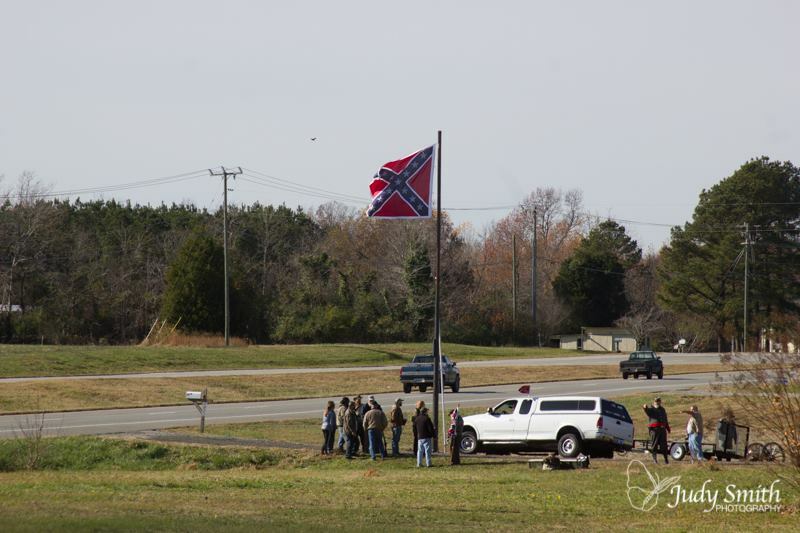 Late Saturday afternoon ActBac NC finished installation of their first roadside battle flag project. The 40' pole will fly an 8x12 battle flag and will be dedicated to the memory of 1st Lt Jeremiah Holt 63rd NCST Co F , KIA Winchester VA 1864. Information on the pending flag raising/dedication ceremony will be released soon. 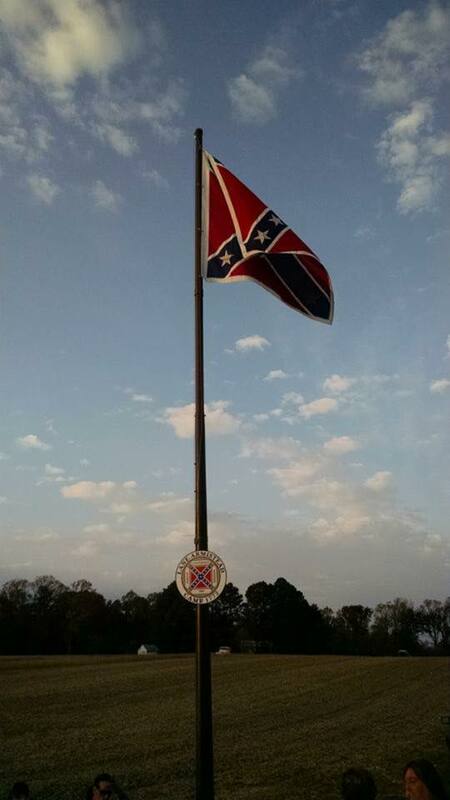 The Lane-Armistead SCV Camp #1772, raised a 40' Roadside Memorial and Battle Flag on Saturday afternoon! That's THREE new massive battle flags raised in the Old North State this month... and the 27th raised in the Commonwealth since the fall of 2013, and from all indications, there are many, many more to come. Perhaps Mr. Levin doesn't quite understand the meaning of the word, but keep in mind that this is the same man who once boldly predicted "that there will be no Confederate flag on I-95 near Richmond" (bless his heart!). The Va Flaggers offer our most sincere congratulations to all of the dedicated men and women who worked so hard to make these latest Memorial Battle Flags a reality. There is no more beautiful reminder of the honor and valor of our Confederate veterans, and the Cause for which they fought and died. Last week was a big one for us in many ways. We have already reported on the great turnout and successful fund raising at our picnic on Sunday, but it turns out that there are more far reaching effects than can be measured by head counts and calculator totals, and we wanted to share a couple of things with our friends and supporters. On Saturday, the day before the picnic, we held our regularly scheduled flagging of the Virginia Museum of Fine Arts. On October 1st, we will mark FIVE years of (twice weekly) protests on the sidewalk on the Boulevard, and since we had friends and supporters coming in from out of town, we had a pretty good crowd, with over a dozen flaggers out forwarding the colors, lining the sidewalk in front of the VMFA. There was a lot of traffic out that afternoon, and we had a very special visitor. 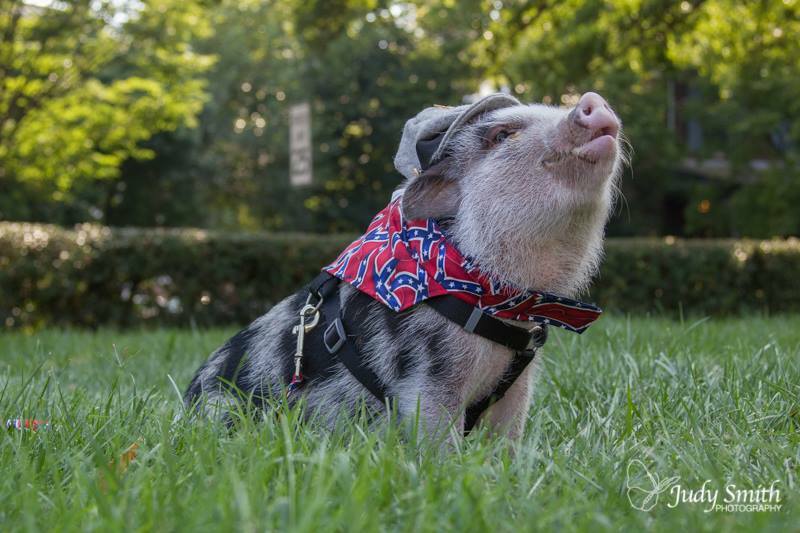 Corporal Charles Bacon (AKA “Crosby”, a pet pig, joined the Flaggers and was an instant hit. Adults and children were drawn to us and our little four legged ambassador served to open the door to MANY more conversations than we typically experience. 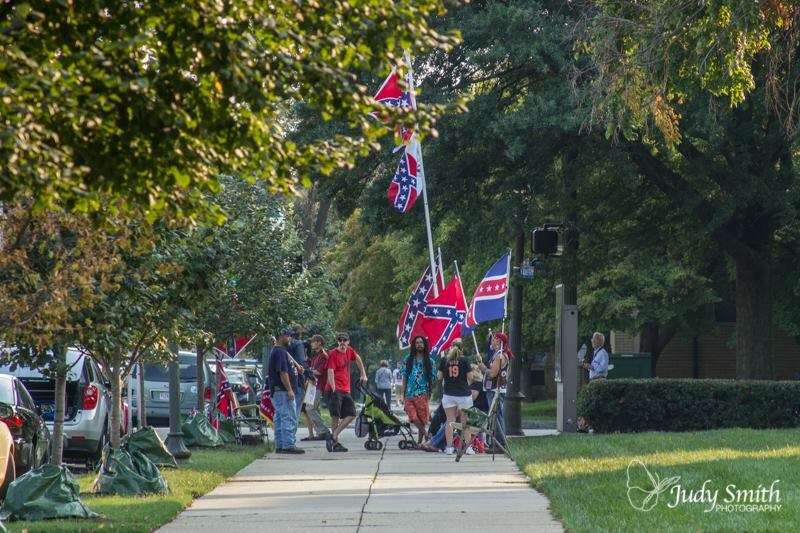 Looks like a couple of guys saw our Flaggers on the sidewalk at the VMFA and decided to come to the picnic Sunday. On social media, they talk about wanting to take photos and do interviews, looking to expose the hate and “racism” within our group. Our greeter remembers them well and took extra time to welcome them and share literature and information since they appeared to be visiting. They came searching for hate…and left with TRUTH. How cool is that? Have I mentioned how proud I am to be a Va Flagger? The true bloods of the South are a distinct ethnic people, they are also Confederate American by birth. Dixie is a conquered nation, being conquered does not change the above truths!! They tried to destroy our Southern culture during the infamous reconstruction implemented by Congress, which imposed martial law in the Southern States, from 1866 to 1877... eleven years!!! And we became the empires subjects by force, not choice! They have chosen the Southern white as the focal scapegoat of our time. This in, politics, media, comics, literature, film and television; dealing with religion, race relations, work and lifestyle in defining Southern whites. The Southron which represents faith, country, pride of heritage, hard work, kinship loyalty, traditional values and way of life is being trampled on by "those people" that hate us so...With all this hate, why don't they just let us go!!! 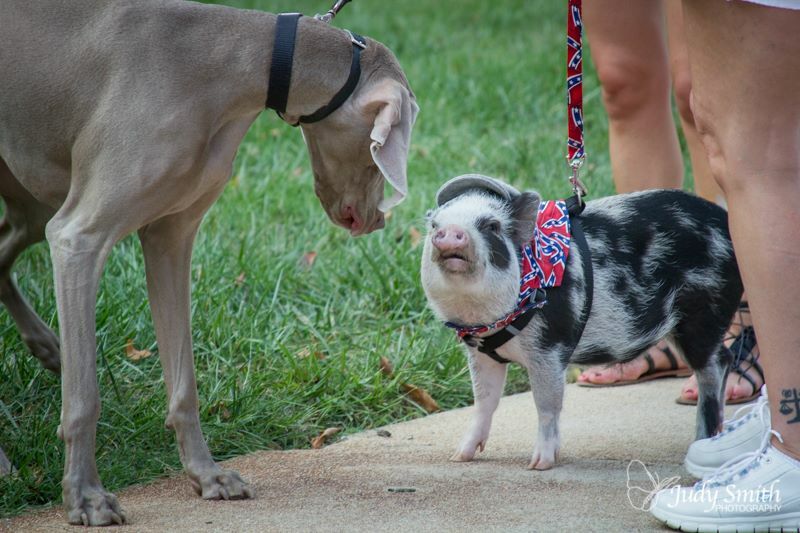 America's South is losing it's regional distinctiveness by progress, the PC crowd and appeasement of minorities. 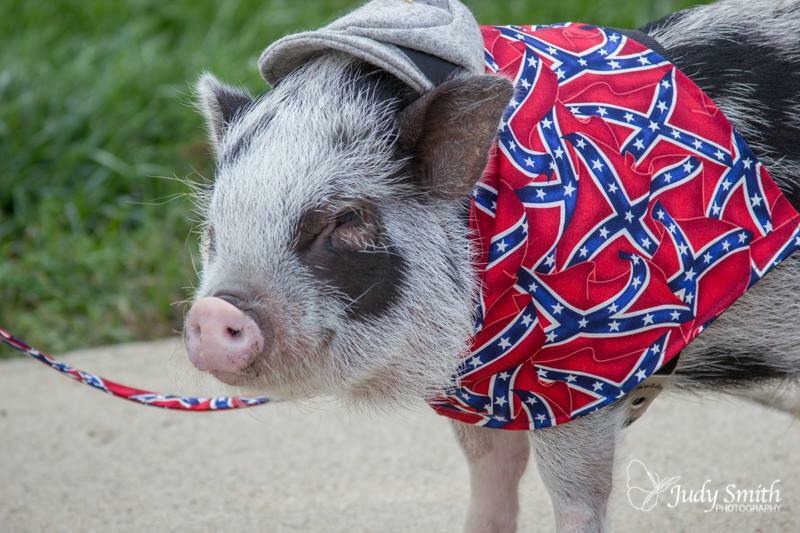 Society is demoralizing the Southern people through typecasting as stupid, rednecks and hillbilly's. Yet America is destroying a part of itself that should have been left alone, let go, explored and listened to. Because of the guilt and questioning which his/her existence creates in the world of the un-Godly, do-gooders and PCer's. Many Southron feel inadequate and orphaned in their own land!!! 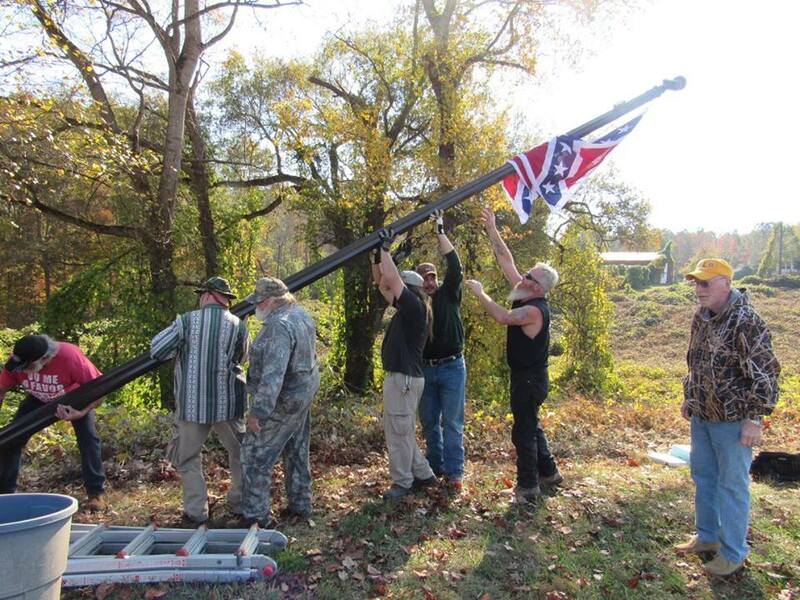 Copyright 2013, Confederate Flaggers. Picture Window theme. Powered by Blogger.